If you are like most of the modern brides, you don’t want to stick to all of the wedding traditions that don’t make much sense in the 21st century. And yet, wearing your “something blue” doesn’t have to be among the customs you “banish” out of your wedding. On the contrary, it can be a really nice and creative addition to your Big Day – and choosing your “something blue” doesn’t have to be difficult either. Following, we have gathered some tips to help you decide on this, so read on if you need a bit of inspiration. A sentimental “something blue”. Does your father have a favorite tie or a favorite shirt? Ask him if you could use a small piece of it to sew it under your dress. Does your mother know how to work beautiful embroidery? Ask her to sew your name and the name of your future spouse on your handkerchief. These are wonderful ideas full of emotion and candour, so you can definitely settle on something similar. A fun “something blue”. You don’t have to settle for a sentimental “something blue” if you don’t want to. You can make it truly fun as well. 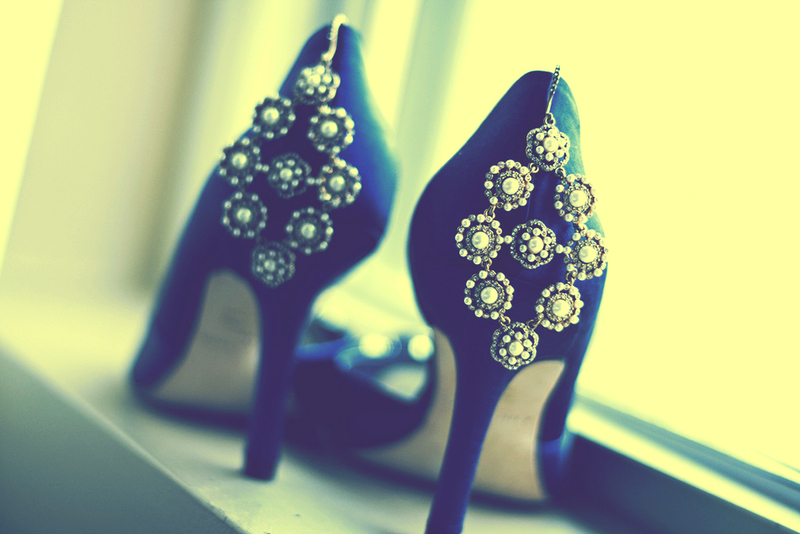 Your shoes, your bridesmaids’ dresses and even your groom can be your “something blue” – so don’t be afraid to be creative! A stylish “something blue”. Have your wedding bouquet wrapped in beautiful blue ribbon or choose a dress with blue touches on it. Even more, keep in mind that your entire wedding gown can be blue – and there’s nobody to tell you that you aren’t allowed to wear it on your big day! Planning a wedding in Florida Keys? Blue Water Weddings has plenty of years of experience in planning unforgettable events in the area – so if you want your big day to be flawlessly gorgeous, contact us as soon as possible! Choosing a wedding cake is not easy as there are many options, when it comes to style, pick your shape first!